Visit Clif's Kid Twisted Fruit page. 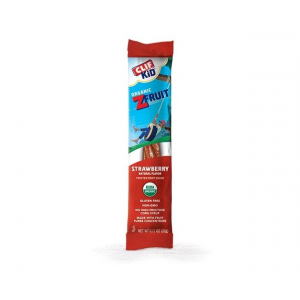 Clif Camp & Hike Kid- Zfruit - Strawberry Bar 180001. 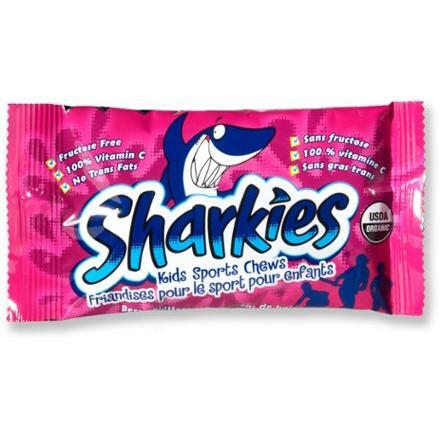 Made with fruit puree concentrate our products never include high fructose corn syrup or artificial flavors. Satisfy your sweet-tooth with this succulent strawberry-flavored treat. 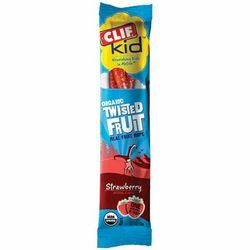 Clif Kid(TM) Organic Twisted Fruit takes real fruit and twists it into a fun rope shape that tastes great and slips easily into a backpack, lunchbox or coat pocket. Each piece of CLIF KID Organic Twisted Fruit equals one serving of fruit! Organic Twisted Fruit is real fruit twisted into a fun rope shape that's easy to slip into a backpack, a lunchbox or take anywhere kids are on the move. 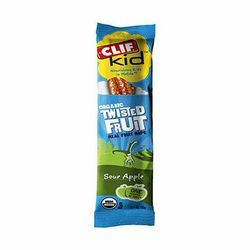 The Clif Kid Twisted Fruit is not available from the stores we monitor. It was last seen October 27, 2018	at CampSaver.com.